With the head installed correctly, we can now degree the cams. Steve Smith tightens the main caps, as our bottom end is now nearly assembled. We still need to paint the valve cover the original slate blue color, but our engine is now complete and ready to run in our Lotus Elan. 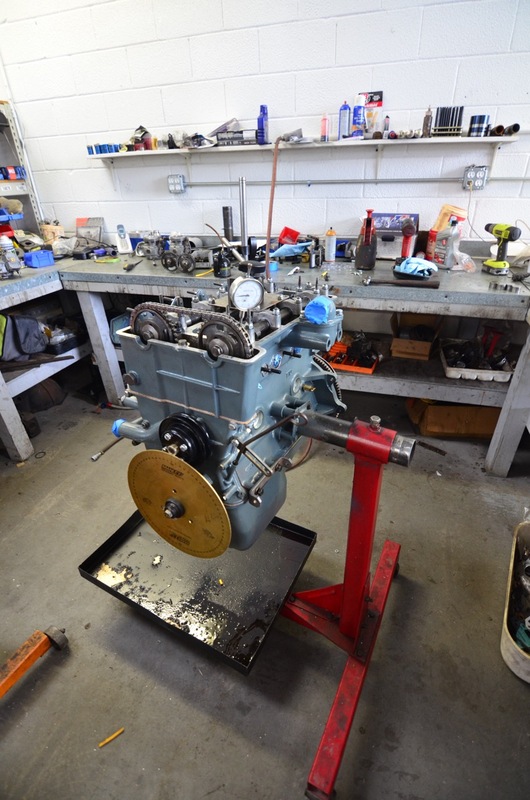 With one more trip to Twin Cam Sportscars, our Lotus Elan‘s engine would be complete. 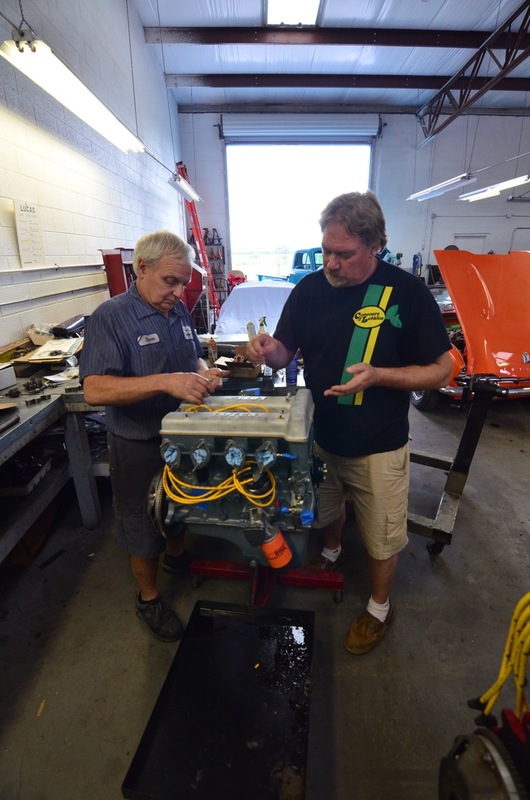 While we have not run the engine yet, we were blown away with how neatly and quickly Steve Smith put it together. 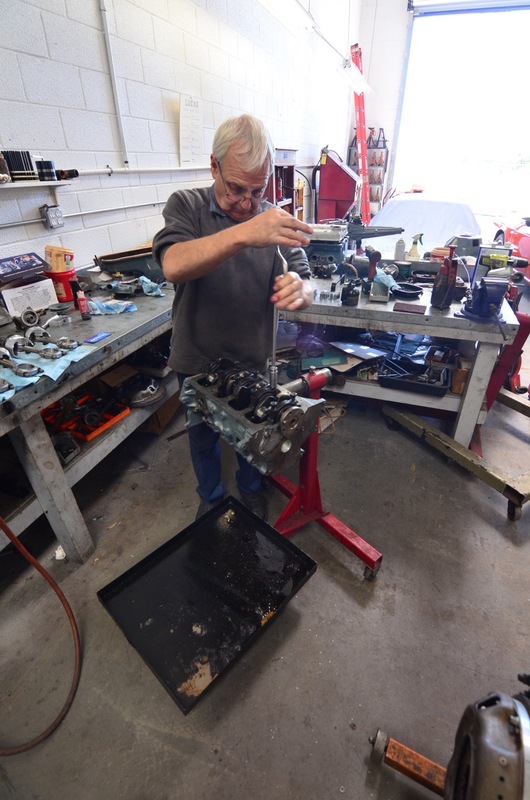 Reassembly went very smoothly with the gasket set, new water pump and other rebuilding parts we got from RD Enterprises. Ray at RD Enterprises rocks. He helped out a bit with some parts for my Morgan. Tim, will Steve be running the engine for you before you install it? Is it just the picture or is Mr Suddard himself taking a chapter from Colin Chapman and "adding lightness?" We will most likely run the engine after it is in the car, and I am trying, but adding lightness is not what I do best. Tim, your making great progress. I'm expecting to see your Elan at LOG36 in Princeton in August. I have a funny feeling you will be done before then. I won't be done for Log36, but am thinking of bringing the unfinished car to gain some wisdom. Let me know if you bring the Elan to LOG36, I'll make sure it has a special parking spot.